A truly unique system, the TDOS uses large capacity adsorbent filters to remove moisture in the insulation down to very low levels. 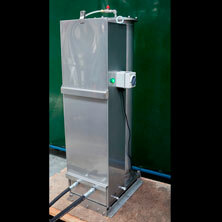 The water removal filters are automatically redried by the system with no operator involvement required. 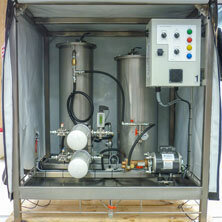 The TDOS also includes an optional vacuum degassing cycle to remove all gases. 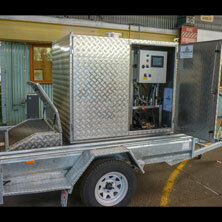 The Trojan OMS uses highly adsorbent media to remove moisture down to very low levels on energised transformers. Different media options are available, including loose media or filter cartridges. 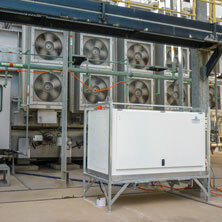 The ultimate low maintenance, low cost moisture management solution for the life of the transformer. The LTCF Series are highly portable and designed for use on energised or non-energised apparatus to remove particulate, carbon and moisture down to acceptable levels.